The Bower House is delighted to support the incredible work of Shipston Home Nursing. Sitting at the centre of the historic market town of Shipston on Stour, The Bower House, originally built in 1731, has been painstakingly and lovingly restored, and now houses a stylish and welcoming bar and restaurant over the ground floor, and five beautiful and very comfortable en-suite bedrooms on the first and second. The bar, serves dangerously good cocktails, featuring those made from renowned local Cotswolds Distillery whisky and gin, and a lengthy and thoughtful wine list. There are squishy banquettes on which to linger with a glass of wine and a snack, or with the newspaper and an excellent coffee from award-winning local roasters, Monsoon Estates. 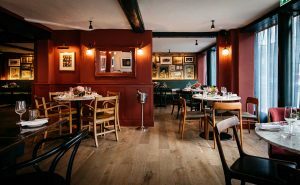 The restaurant spans the original Georgian rooms, one of which has an enormous fireplace at it’s heart, and others which look out through the floor-to-ceiling 18th century windows over the town square. 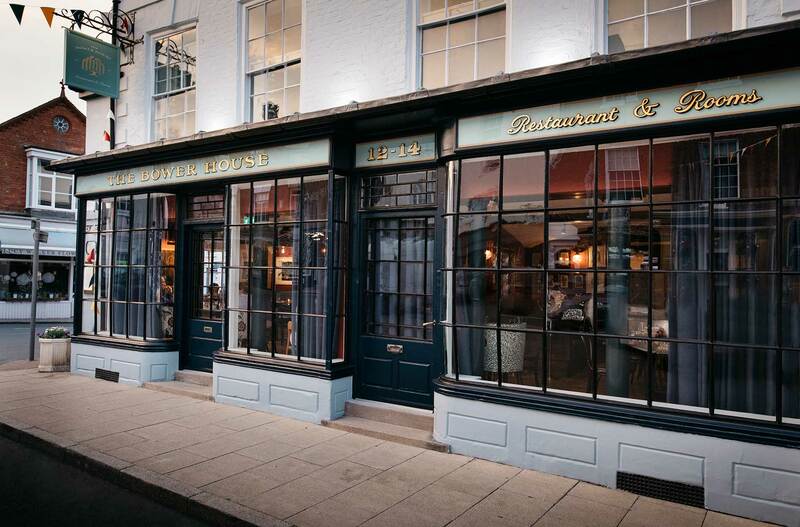 Service is informal and friendly, and the kitchen is presided over by celebrated chef Paul Merrony, who serves a broad menu of originals and classics, from steak and chips, to shallot crumble with horseradish cream, described by The Times as “a piping-hot delight”. Puddings are knock-out, cheeses are local, and with our fixed price menu at £19 for two courses and £24.50 for three at both lunch and dinner there is something for everyone. Breakfast is available from 9am with tea and cake available all afternoon. 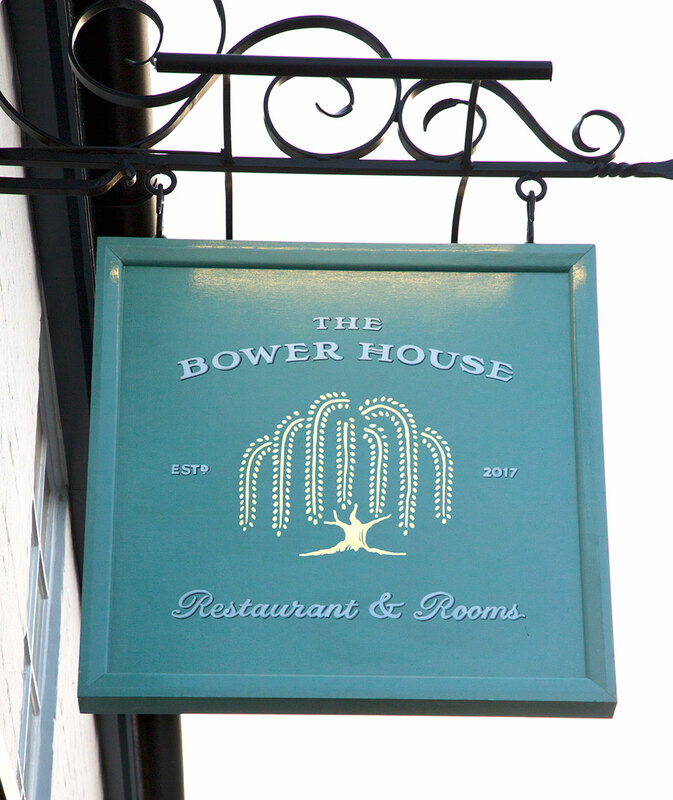 The quality of the food has just been recognised by The Michelin Guide, who have named The Bower House in their 2018 guide as one of their “best addresses”, and the guest rooms by The Sunday Times as one of the “100 Best British hotels”, describing the bedrooms as “six-star havens”. It is closed on Mondays and Tuesdays.